Spend at least RM88 in a single receipt at AEON BiG. Get the contest form from AEON BiG Customer Service Counter and answer a simple question. Complete your details and submit the contest form together with attachment of original receipt at the store where the purchase was made. 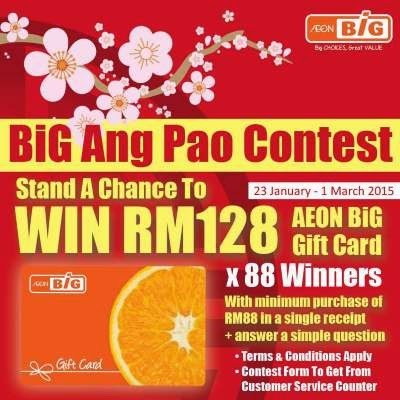 Visit AEON BiG Ang Pao contest page for more details.